← Banyule Homestead on the market! ‘What’s Wrong with Anzac?’ Marilyn Lake and Henry Reynolds. I doubt that this book will be reissued in the next two years. I’m sure that the publishers have had an asterisk against 2014 and 2015 as bumper years for military history, with the centenary of WW I in 2014 and the Gallipoli centenary in 2015. This book, originally published in 2010, is not likely to sit comfortably on the shelves with big books with big blokey authors that would have been scheduled specially to take advantage of all this interest. But many of the sentiments expressed by the historians who have contributed to it will continue to bubble along underneath all the ceremony, emotion and hyperbole. You can find it manifested in the Honest History website. In 2009 historian Marilyn Lake was invited by the History Teachers Association of Victoria and the University of Melbourne to give a lecture on ‘The Myth of Anzac’ in a series on mythologies. A condensed version of the address was published in The Age soon afterwards. A furore erupted online- a “mixture of hostility and support, personal abuse and thoughtful reflection”. In her introduction to this book, she briefly mentions the abuse but outlines in more detail some of the more reflective responses posted onto the Comments section of the Age website. This book is a compilation, then, of chapters written by a number of authors (both male and female) in response to the questions raised by Lake’s article and the commentary that surrounded it. In Chapter 1 ‘Are nations really made in war?’ Henry Reynolds addresses the assertion that Australia became a nation through Gallipoli. What then, he asks, was the first 100 years of white settlement about? He points out that before 1915 Australia was a remarkably successful society: peaceful, well-governed, prosperous, with progressive reforms that placed them at the forefront of democratic advance. (p. 26). He emphasizes that the symbolism, ceremony and language of Anzac relate back to Edwardian ideas circulated prior to 1914, drawn from the popularization of Social Darwinism where the fit would survive and triumph while the weak would be crushed and swept aside. But it was not the only discourse at the time. There was a strong peace activist movement at the turn of the century, peaking with the Universal Peace Congress in London in the summer of 1908. Reynolds’ second chapter ‘Colonial Cassandras: Why weren’t the warnings heeded?’ looks at the Boer War at the turn of the century, and the disquiet it elicited about Australian involvement. The Boer War induced British military planners to look to Australia, Canada and New Zealand for potential manpower. The Russo-Japanese war of 1905-6 was even more influential in eliciting Australia’s fears of the ‘yellow horde’, fears that could be easily manipulated by Britain to encourage Australia to maintain an armed presence for local purposes. Nonetheless, when war broke out in Europe, Australia’s leaders dutifully accepted the Imperial argument that Australia’s fate would be determined by what transpired in north-western Europe, and Australian troops flowed to campaigns on the other side of the world. In Chapter 3 Carina Donaldson and Marilyn Lake use Alan Seymour’s play The One Day of the Year as a barometer of sentiment about Anzac. Donaldson and Lake back-track to examine the history of the anti-war movement in the 1920s and 1930s Australia, and its connection with international bodies. By the 1960s Anzac Day was largely treated with indifference, captured well by The One Day of the Year, which opened the Adelaide Arts Festival in 1960. The 1960 version condemned the militaristic values of the Anzac legend and the uncouthness of its annual celebration. Participation in Anzac Day celebrations fell away further during the late 1960s-early 1970s as Anzac Day became a focus for the anti-war movement during the Vietnam War. But a new narrative for Anzac was being written, exemplified by Bill Gammage’s The Broken Years and Patsy Adam-Smiths Anzacs which cast the young soldiers as innocent victims of law. The inclusion of children, grand-children and great-granchildren of the fallen and the aged in the Anzac Day rituals brought about the ‘new Anzacs’, free to celebrate ‘the Anzac spirit.’ And so, Alan Seymour’s The One Day of the Year was rewritten in the mid-1980s, placing the blame for the excesses of militarism not on the old diggers themselves but the ‘top brass’ in the RSL. Joy Damousi in her chapter ‘Why do we get so emotional about Anzac?’ looks at the public emotional responses that have overlaid Anzac Day. In particular she looks at the merging of military and family history, where an ever-multiplying number of people are encouraged to ‘claim’ their family members of the past . “Those who speak from the perspective of a familial connection seem to claim a special authority to speak- sometimes as those who inherit the Anzac tradition”. (p. 97) This emphasis on forging a personal, emotional reaction to a family member seems to be a particular focus of commemorative activities that are reaching fruition right now, aimed at school children. Mark McKenna’s chapter ‘Anzac Day: How did it become Australia’s national day?’ picks up on some of the themes raised in Lake and Donaldson’s chapter but from a political perspective. He argues that the increasing awkwardness over Australia Day commemoration has led to the search for an alternative national day, and that politicians have fallen on Anzac Day with relief. Paul Keating wrote Kokoda onto the Anzac legend, arguing that the ‘modern image’ of Australia was formed not in the imperialist WWI but in the jungles of Papua New Guinea, in our own neighbourhood. Howard returned to the older view of Gallipoli, on steroids. In the final chapter Marilyn Lake asks ‘How do children learn about the spirit of ANZAC?’ She points out the heavy investment of the Department of Veterans Affairs in publication funding and educational programs. It’s a chilling chapter. This book prompted much controversy when it was published, not just of the sort that Lake describes in her introduction, but amongst historians as well. In particular, Inga Clendinnen took issue with it, feeling that Ken Inglis, whose work is cited but not engaged with, has been misrepresented through the book. Reading this book four years on, and on the cusp of Gallipoli-fever, the observations of the book seem even more pertinent, most particularly regarding the funding of commemoration that strongly relies on emotion and personal identification. This is most striking in the commemoration activities planned involving schoolchildren. However, with our current government, the suggestion that an alternative national story about progressivism and social justice be championed seems further off than ever. I am posting this review to the Australian Women Writers Challenge website. I am well aware that it is co-written by Marilyn Lake and Henry Reynolds, who also co-wrote Drawing the Global Colour Line recently. Three of the chapters are written by male historians as well. However, I think that there’s a good argument for placing a link to this review on the AWWC site. The reality is that women academic historians often collaborate with their male colleagues, and it does a disservice and is simply not correct to assume that male author is the lead author. Moreover, in this book in particular I suspect that some of the viciousness that Marilyn Lake attracted through her lecture and newspaper article were because she is a female and an academic. This book does not step back from the controversy at all. 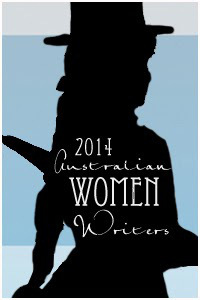 This entry was posted in ANZAC, Australian history, Australian Women Writers Challenge 2014, History writing. Bookmark the permalink. Thanks David. I thought your article about the Roll of Honour was excellent. Thank you, Janine, for a thoughtful and interesting review. 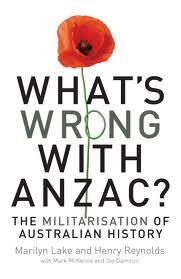 I had been considering reading this book and now I think I’ll get hold of a copy because I think it’s essential for teachers to be clear-sighted about being co-opted into the politics of Anzac, now more than ever. Lisa, I suggest that you do look at that Honest History site and David Stephen’s article about the commemorative activity involving children reading out the names of WW I soldiers. It raises some good questions at the end about the role of teachers and some possible ramifications of such projects. Yes, I have done already, Janine. The HH site is very interesting. At my school we have decided to take a measured approach to Anzac Day this year (see http://wp.me/pdjEw-xm and the 2nd paragraph in particular. Our Prep-Y6 program is also there for anyone to download and adapt). In Victoria term 2 starts on Easter Tuesday with a 3 day week culminating in the Anzac Day holiday, and that’s the week we’ve allocated, with most classes spending just one day on Anzac. (That is to say, what’s left of the day after the never-negotiable two-hour literacy block and one-hour maths block that is the basis of each day in my primary school). I was very relieved when staff agreed to this because we have some teachers who love to bring in the old family medals every year and tell Grandpa’s story again and again, and of course *sigh* the Simpson story as well. They mostly haven’t any idea about interrogating their role in the transmission of Anzac myth-making, though the conversation has at least started, but they have responded to the problem of repetition and student boredom. Ironically it’s my library unit on indigenous service and the Year 5/6 unit on women in war that will get more time, but I feel this is justified because it is such a neglected area, and that in itself makes it more possible to approach it as an historical enquiry rather than a patriotic legend to be passed on uncritically. Somehow, between now and next year, as Director of Curriculum I have to think of a way to deal with the whole thing all over again in 2015 so that it is both respectful and honest, and yet in its proper place as only a minor part of the primary history curriculum. I’d love it if the people at Honest History could offer some practical support and ideas to achieve that. Primary teachers, after all, have to develop all their own curriculum in their own time, and the stuff that is developed by secondary history teacher associations is rarely any use at all. So I have no doubt that in most schools primary teachers will, due to time constraints, use what is sent to them by DVA without really being aware of the agenda that lies behind all these ‘free’ (taxpayer subsidised) materials and programs. Your school is lucky to have you as Director of Curriculum. Oh, there are lots of teachers out there doing useful work! Lake is spot on when she says that in the 21st century Australia should reclaim the values of equality and justice which in an earlier era was thought to define a distinctive Australian ethos. She suggested that it was inappropriate for “a modern democratic nation to adopt an Imperial, masculinist, militarist event as the focus of our national self-definition in the twenty-first century. Good going, Marilyn! However the author is on a hiding to nothing. There is no aspect of modern Australian life that doesn’t make me sick with dismay. Even when we didn’t quite get there, Australians always valued equality for the workers, women’s rights (eventually), mateship, universal health care, a warm welcome to desperate refugees from theatres of war, separation of church and state etc etc etc. We must have been the only country in the world to gain independence without a battle. Lisa Hill’s comment above is most welcome and we at HH will try to help, although we are conscious that our resources at primary level on the site are as yet very limited and we need to recruit the help of interested people. Lisa’s link to some relevant books is very useful. Noted also the questioning of the medals carriers. So much of the way we have traditionally dealt with war is ‘medals, mateship, memories’. Superb review of a book pondering the creation of what some might call a foundation myth – an event that in itself was not much but which, over the decades, if not century, come to symbolize something essential about the national identity. Glory can blot out the other side. Wasn’t it after the Great War that the old age pension was brought in as a sort of respectful recognition of the contribution made by the elderly of the day? Thank you I hadn’t known that about the thinking behind the pension. Was the link explicitly made with the war? I was surprised to read in this book (which I no longer have with me) that The School Paper (or its equivalent) was ordered not to have pro-war articles after WWI. I hadn’t realized that the peace movement had been so strong during the 20s. Good point about the foundation myth. I can’t help thinking of other countries which have developed and lived by foundation myths. There is a close association with the rise and fall of empires: Romulus and Remus; Rule Britannia; the city on the hill; ein volk, ein reich, ein fuhrer. These are important issues to raise and discuss – too many for a small comment. It would be great if Australia could properly discuss these issues and others during the centenary of the war without the rancour and division which turns so many people off politics. Although division and anger were the sentiments behind WWI both in our domestic politics well as on the battle front, the centenary should be grasped as an opportunity for us to be reflective and move beyond the type of conduct that can be destructive. I live in hope… and I agree this book is an important one to be reviewed for the Australian Women Writers’ Challenge. Thank you- I’m glad that it’s been accepted for the Challenge. Somehow I think that the change of government is going to make the whole thing even more politics-tinged than it would have already been. Of course, many of the commemorative activities etc. were planned by the previous government, but given the Abbott govt’s determination to put their stamp on things, I wonder if this will suffer the same fate.